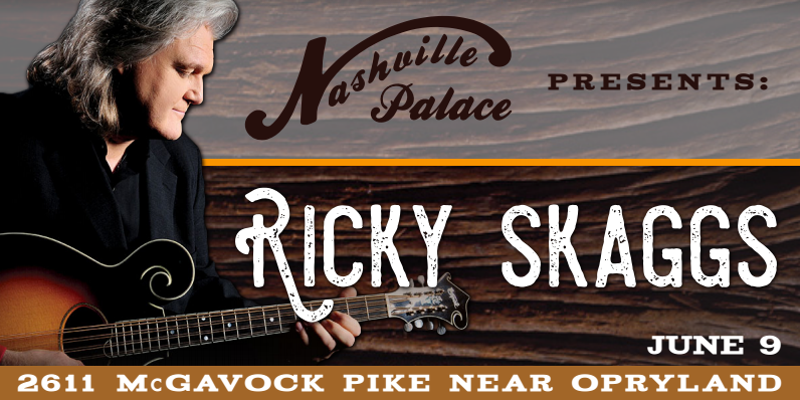 Ricky Skaggs at the Nashville Palace June 9th! 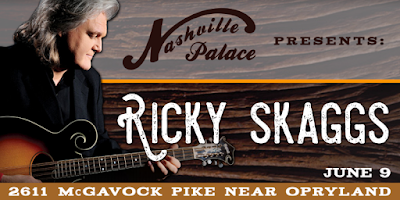 Ricky Skaggs, the legendary country music and bluegrass performer, will put on a show at the Nashville Palace on Friday, June 9th during the 2017 CMA Music Festival! This is one you surely don't want to miss if you aren't going to the stadium show!